Every dive in South Ari Atoll is a new adventure; the dive sites of the Maldives are never the same no matter how many times you dive them. Changing currents, light conditions, and of course the ‘never know what you’re going to see’ marine life keep things fresh and exciting. There are, however, some things that do become familiar – like the resident fish that like to hang out in the same spot on certain reefs. 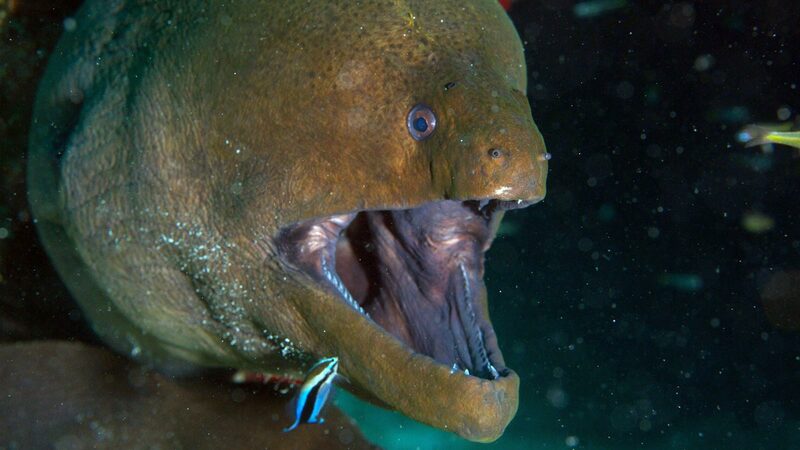 Emma is a giant moray eel (she really is a giant! ), who lives in Kudimaa Wreck, just 10 minutes away from Vakarufalhi, and is known to many of our repeater guests. Emma has a reputation for surprising people during night dives – she likes to swim very close to divers while hunting for her favourite food – parrotfish. Although very big, she is very friendly, as those who have encountered her will confirm! 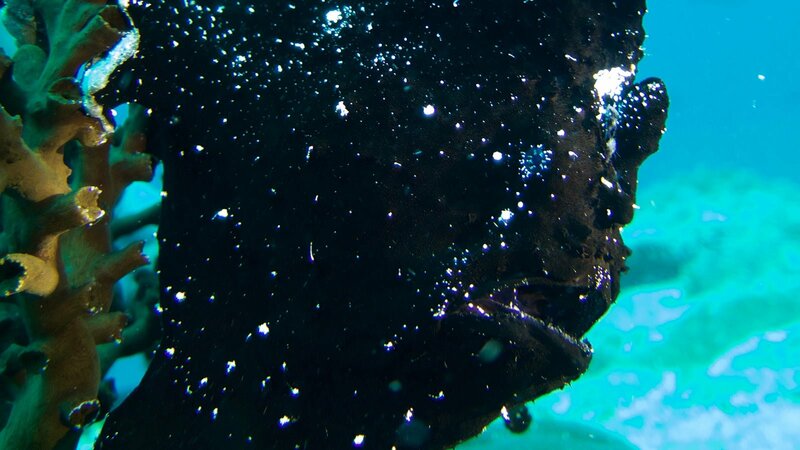 Ivan the black frogfish lives at Rhandi 11 Wreck located close to Digurah Etere Reef. Ivan got his name on a day the team were heading to the dive site to visit him, on the boat were a couple from Germany called Emma and Ivan, and Emma (the diver not the moray!) suggested that as there was already the moray sharing her name, Ivan could share his name with the frogfish, and so it was that the frogfish was named Ivan! Emma and Ivan are looking forward to meeting you on your next underwater adventures in the Maldives.